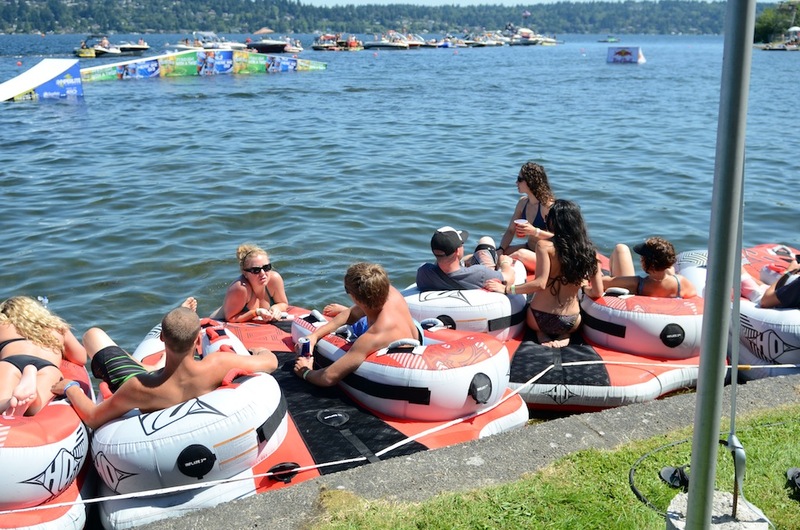 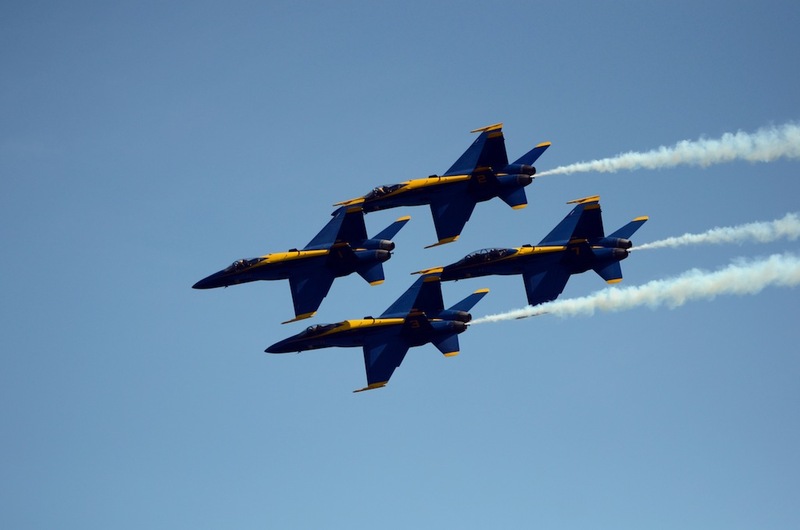 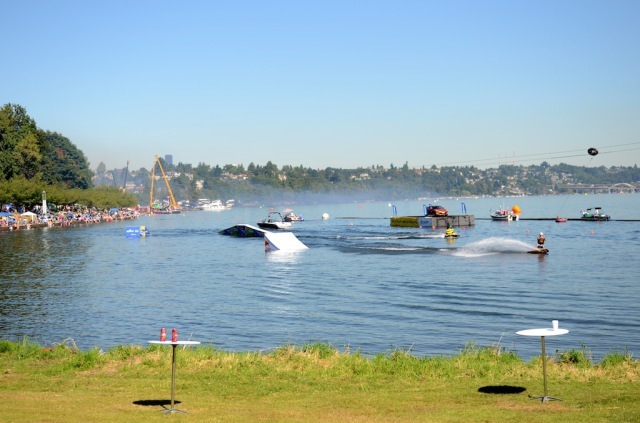 The Northwest offered up the best weather in 5 years for Seafair, Seattle’s annual festival on Lake Washington. 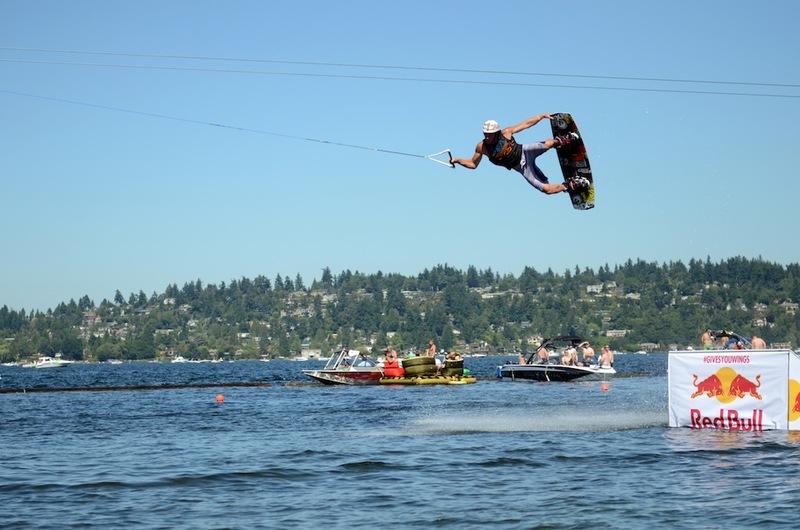 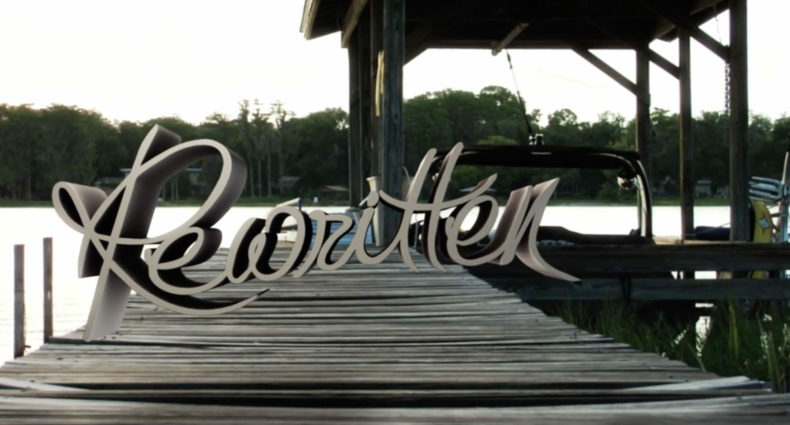 The 3rd installment of the Hyperlite Experience kicked off to bring Wakeboarding to the masses yet again. 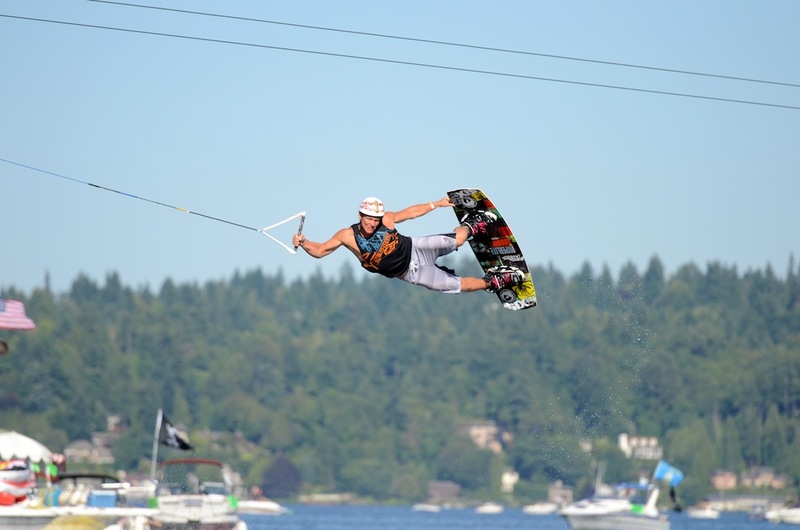 The Endless Ride Cable team was on hand with their Infinity 2T System to provide the pull, but new to the event was the inclusion of local Northwest riders. 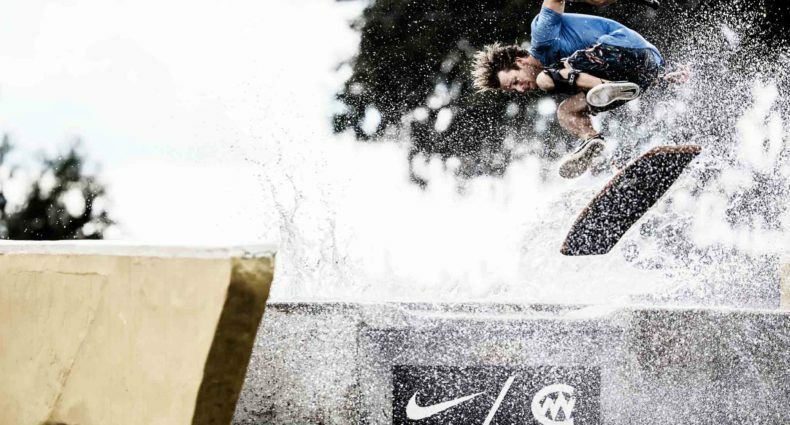 “With any event you want to evolve it and make it better. 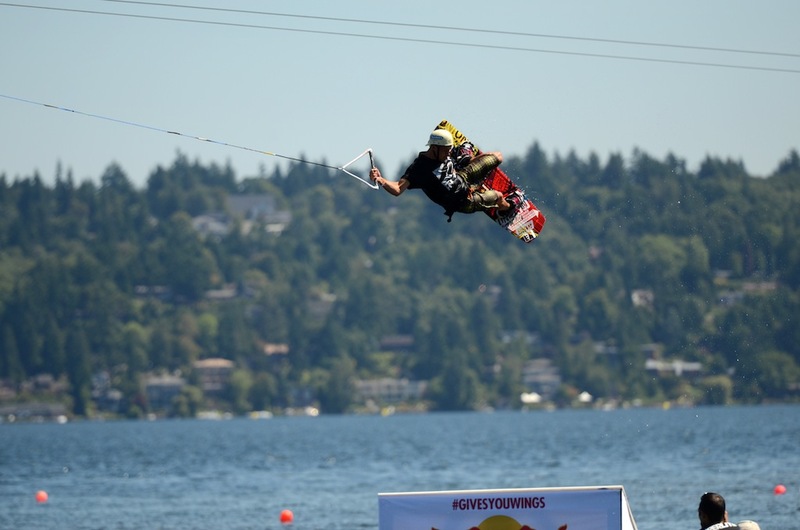 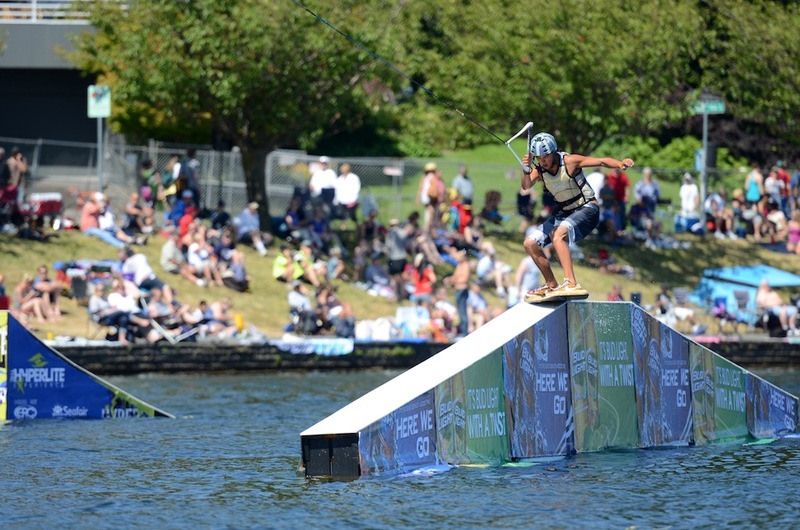 This year we invited local wakeboarders to experience Cable Riding in front of massive crowds. 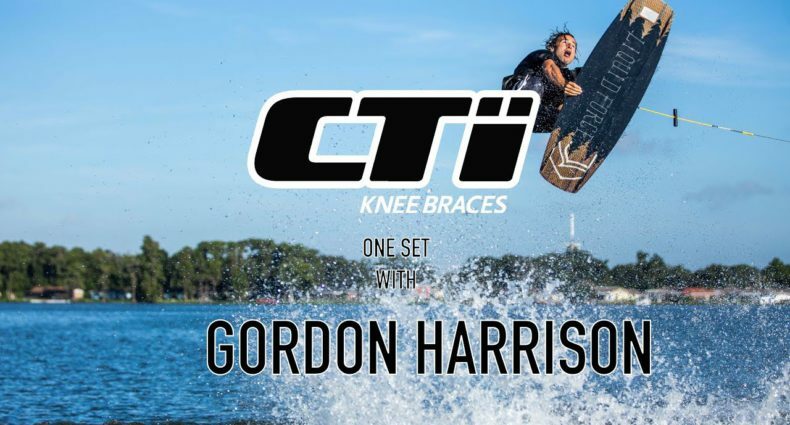 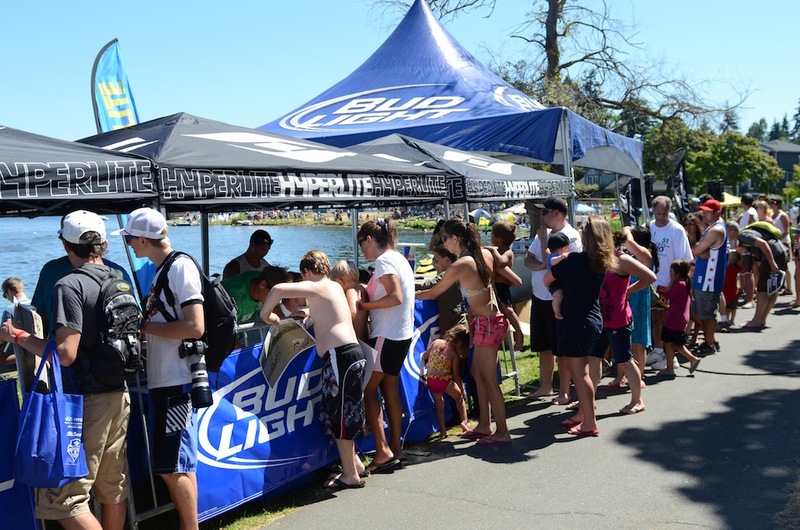 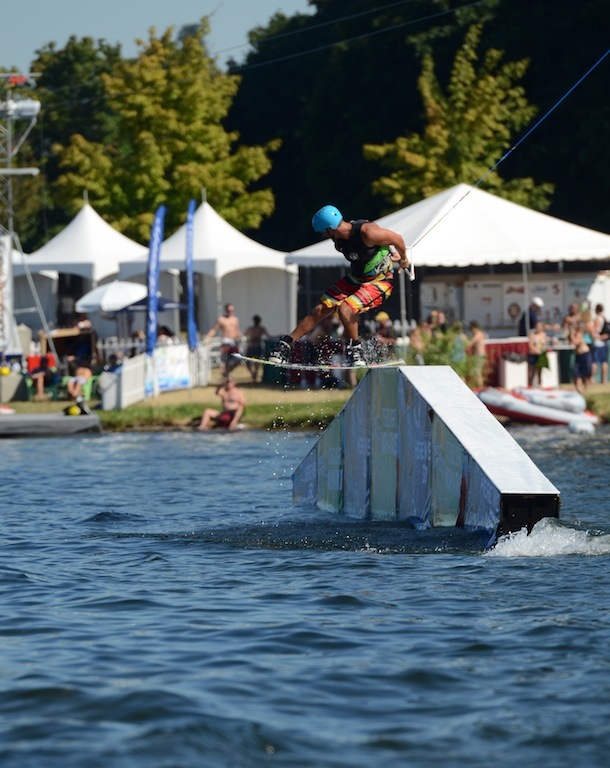 Sharing our set up made this year’s event the best yet!” said Greg Nelson, VP of Marketing at Hyperlite Wakeboards. 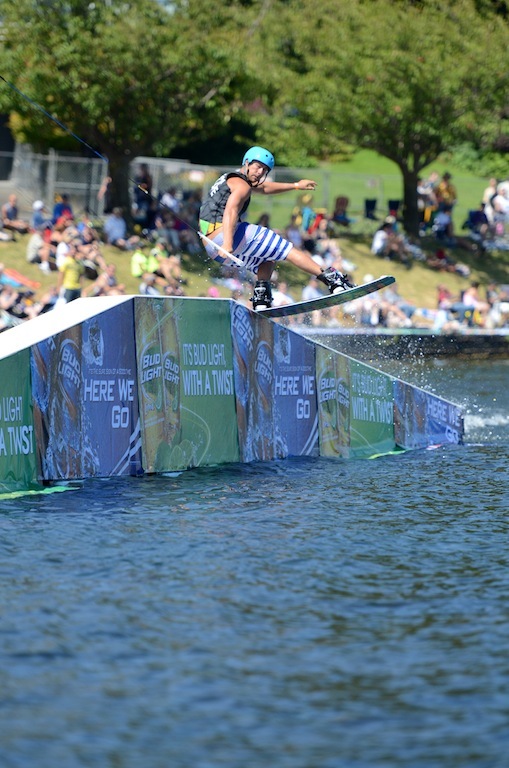 Perfect weather brought the crowds, as many as 150,000 spectators made their way through the park during the Hyperlite Experience. 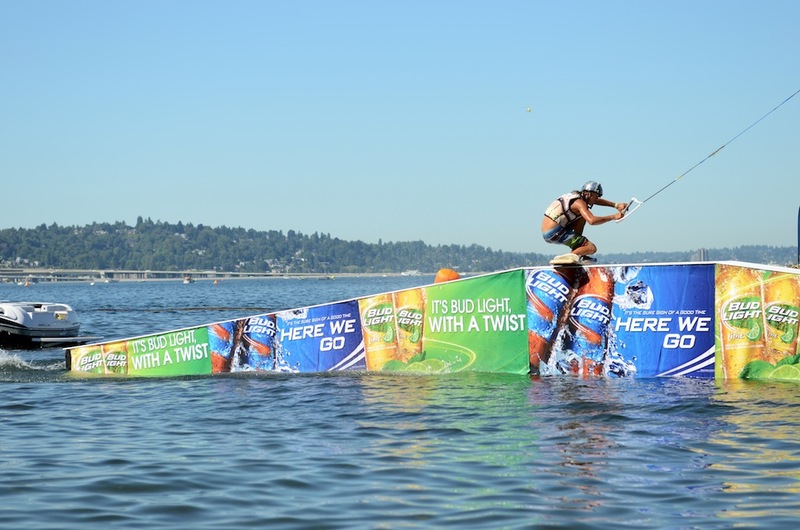 They were treated to countless runs by the Hyperlite team and NW Riders, who hit an A-Frame obstacle, courtesy of BudLight, and kickers provided by Redbull. 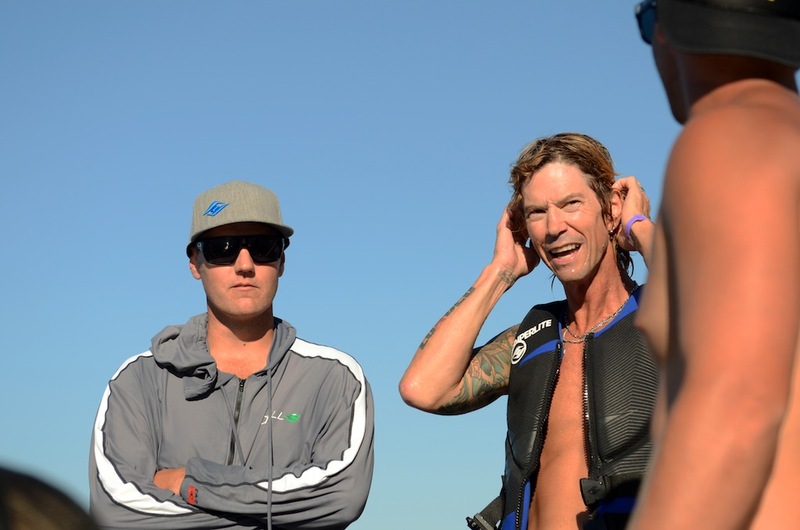 As Sunday’s competition approached, BudLight offered up an all-expenses paid trip for two on their signature BudLight Port Paradise cruise for the winner. 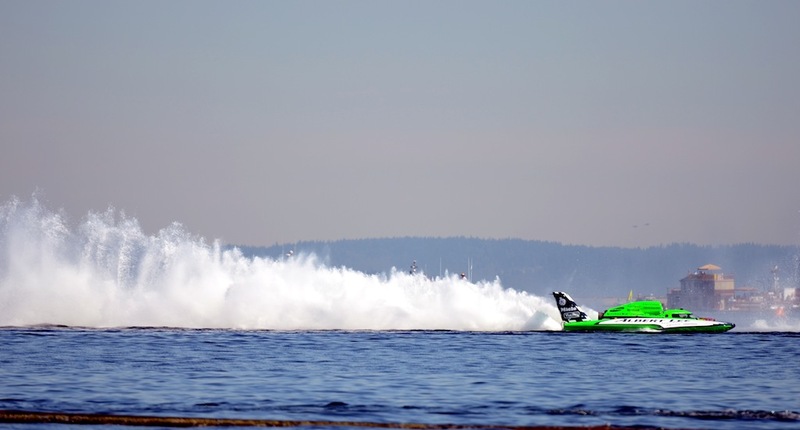 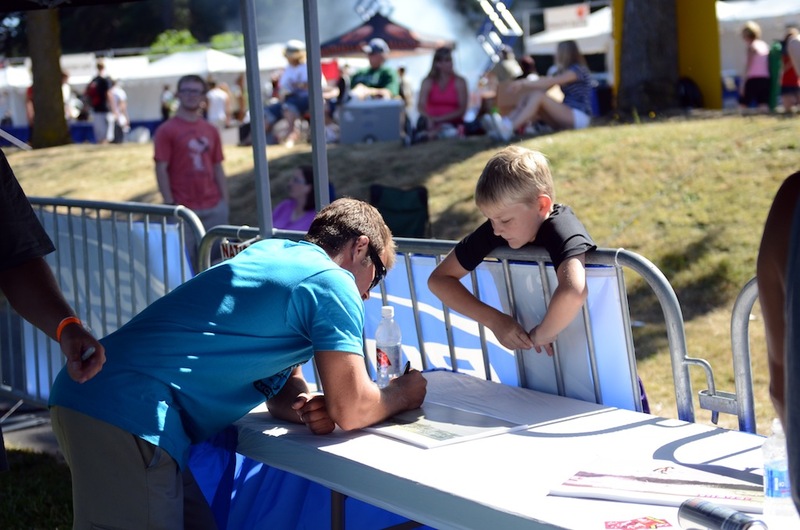 The Hyperlite Experience and the 4 semi finalists were featured on Seafair’s TV broadcast between the Unlimited Hydroplane races and the Blue Angels airshow. 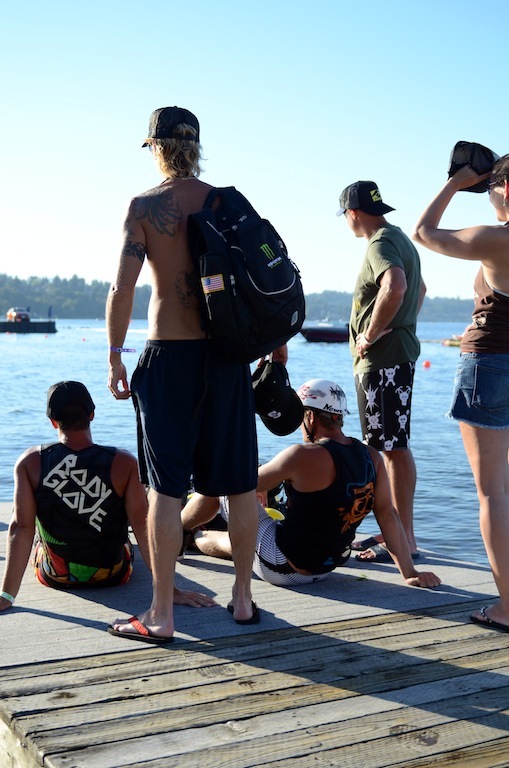 California natives Trever Maur and Mike Schwenne, Florida’s Scott Stewart and Washington’s own Brenden Leib battled in semi final heats with Scott and Trever advancing to the finals. 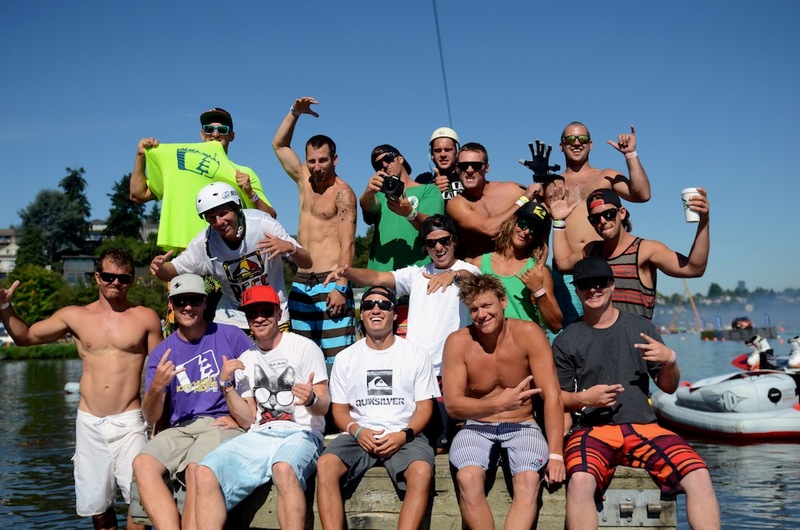 Each rider was given 2 runs to show the judges they deserved the ticket to Port Paradise. 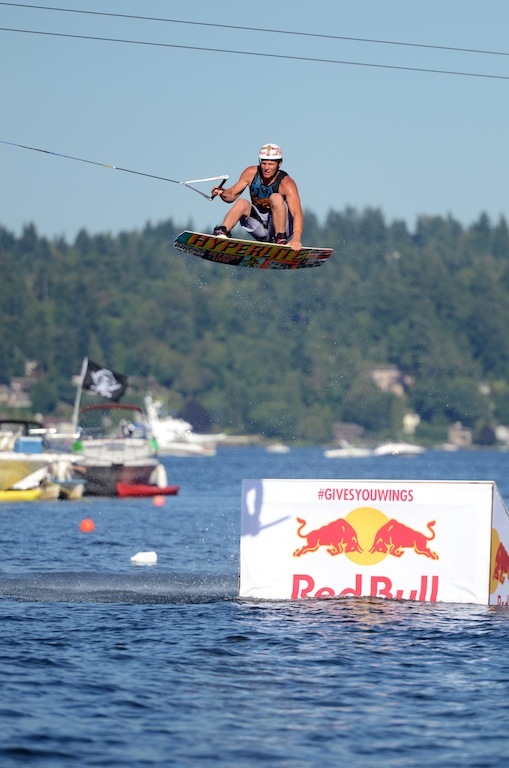 Trever dominated the A-Frame, locking in tech slide after slide, but it was Stewart’s big air that impressed the judges the most. 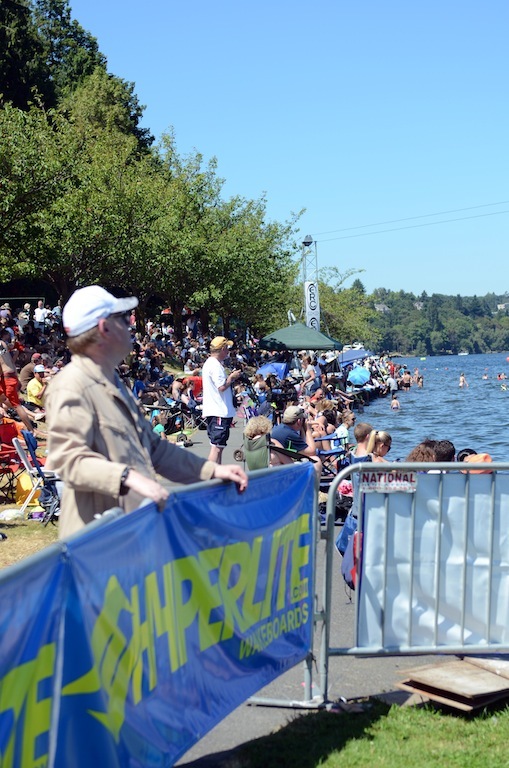 Topping off the weekend was the Hyperlite Life Vest giveaway, where over 500 Child to Teen size vests were given away to promote water safety and hopefully bring kids and their parents back to the water.